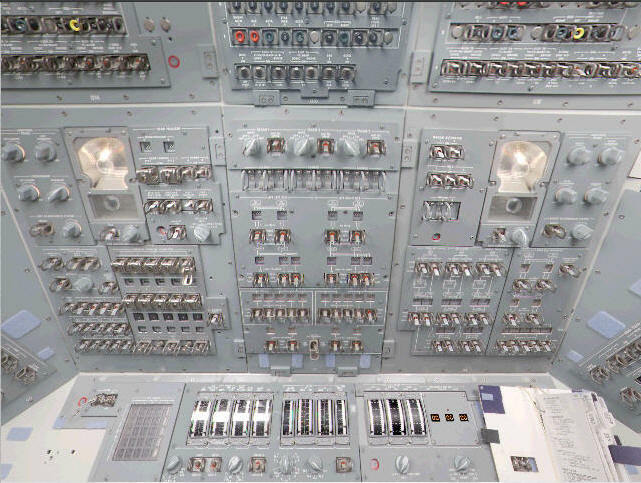 ﻿ Space Shuttle Guide; GPC Status Matrix on the Flight Deck of the Space Shuttles. 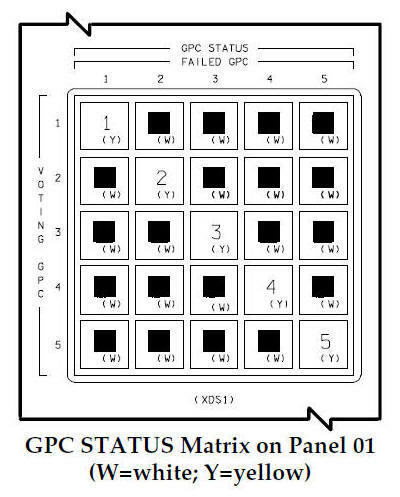 The GPC STATUS matrix (sometimes referred to as the GPC fail CAM) on panel O1 is a 5-by-5 matrix of lights. Each light corresponds to a GPC's fail vote against another GPC or itself.